Hello friends, supporters, and digital design enthusiasts! We’ve been busy growing our space and team over the last 6 months. It’s been a fantastic and reflective time from which I’ve learned an immense amount about how to communicate our company culture. So I thought it would be a good idea to share my answers to some of the most asked questions I encountered when meeting prospective Hot Pop’ers, and some examples from behind the scenes. Hot Pop Factory began as a creative outlet for myself and my co-founder Matt Compeau to turn our design ideas into physical products utilizing 3D printers. We started by making jewelry designs on a MakerBot 3D printer in 2012. Seeing my designs materialize out of thin air, from concept to form in just 30 minutes, I was absolutely hooked. After sharing our creations on social media, and receiving offers to buy the designs, we thought to ourselves, why not open an online shop and share what we’ve created with the masses? From there, our lives changed. 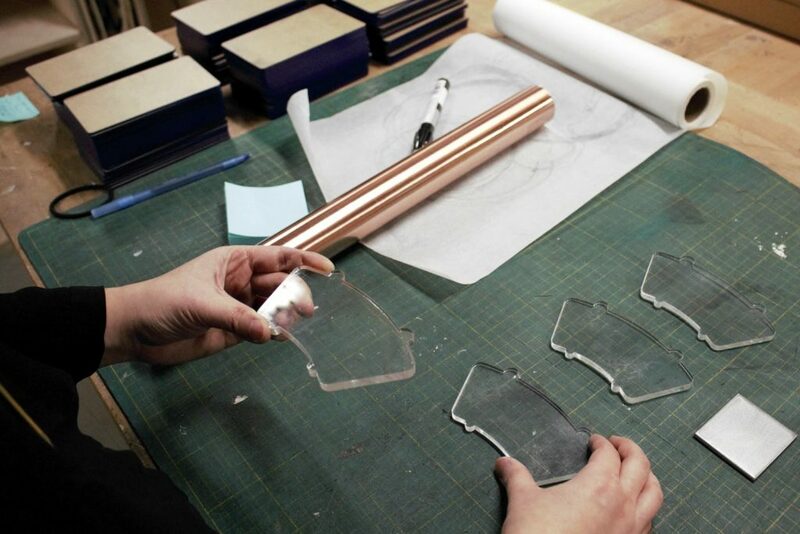 Technologies like 3D printing and laser cutting empowered us to become business owners. Since the day we launched Hot Pop Factory, the company has taken a couple of pivots and has now evolved into a firm that offers custom production services to enable other individuals and businesses to jump-start their product ideas! Our tight-knit team works on high profile, cutting-edge projects that explore new frontiers of high tech manufacturing. The entire team is made up of curious problem solvers and are all energized by the potential of advanced manufacturing to make mass customization possible. Our philosophy puts the team first. We care about every member of the Hot Pop family and support one another through open and frequent communication. Further, the culture at Hot Pop is very much about empowering our employees to leverage the technology we use, and the company itself, to help give life to their ideas. I wholeheartedly believe extending this experience to our employees deepens their sense of ownership and curiosity. What works well for us, is practicing these three ideas within our company – open and consistent communication through weekly 1on1’s between employee and direct managers, integrating feedback from all levels of the team into operations and nurturing curiosity and creativity by allowing employees to use our production shop for personal projects. Making sure these values are upheld results in authentic collaboration, increased engagement, and most importantly, continuous improvements for the entire firm that benefits our clients. The hardest part of having great company culture is consistent follow-through of the vision at all levels of the organization. Strong company culture needs to be authentic, which takes discipline and ongoing management to encourage adoption from everyone. We founded the company based on a passion for design and making. We aim to share this passion through client services, and as a natural extension, inspire our staff to apply their love for making as well. This kind of alignment creates a sturdy foundation, making it possible for us to grow while maintaining our core values. 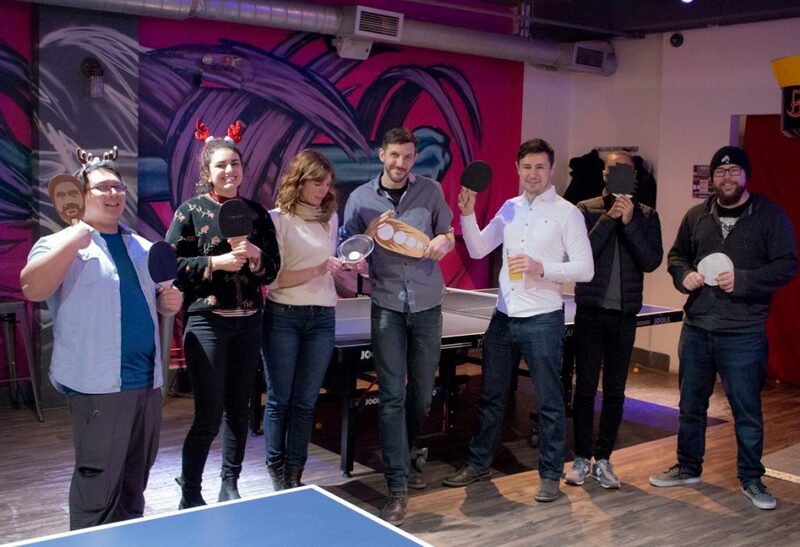 Another way we’ve been able to engage employees is to encourage them to become active participants in the very development of our company culture. To do this, we created an environment that allows employees to speak freely, and everyone to nurture and grow together. Hopefully, this makes it possible to anticipate and manage the needs of all employees and align them with the goals of the business. Last year, a notable inefficiency in the company was discovered through our weekly 1on1s. We found that there were some communication wrinkles in the workflow between our production, design, and sales teams. This is a common problem in companies experiencing rapid growth, and I knew our processes could use some tightening up. I included my team in facing the challenge and finding the root cause. 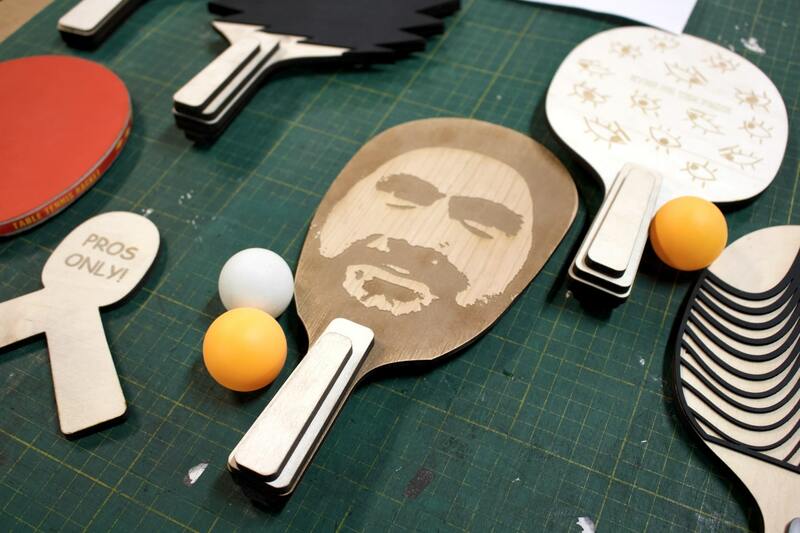 Our production manager suggested that it would be beneficial for new and existing sales and design team members to shadow the production team, however, a production assistant suggested a more engaging way to address the problem – that we should all participate in a maker night to design and laser cut our own ping pong paddles to use on our next team outing. The original goal was to get everyone who is not in production up to speed on the entire manufacturing process, however, though this creative team building exercise, we got way more value than we could have anticipated. 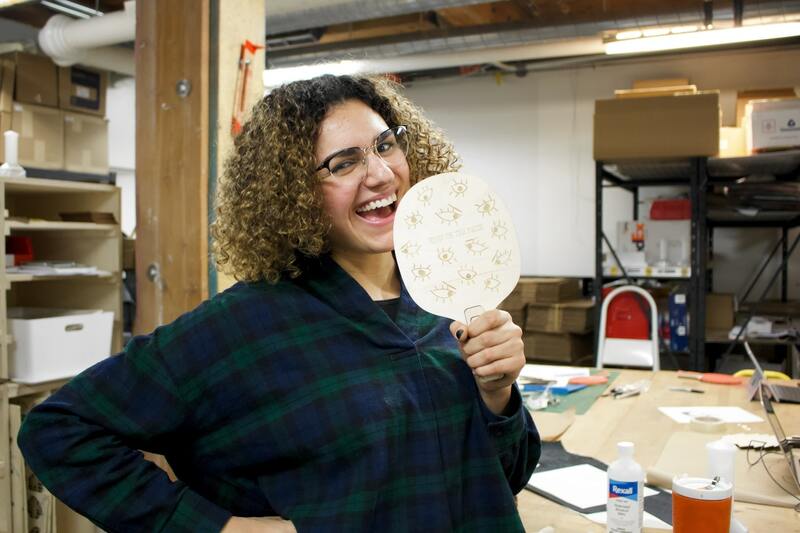 During the Paddle Making Night, the team collaborated on designs and helped make each other’s ideas reality. In the process, they experimented with new materials, invented ingenious mechanics and tried new finishing processes that would never have been done during the standard day to day operations. Not only did we close the knowledge gap that was contributing to communication inefficiencies between departments, this exercise also brought everyone together. We now have monthly Maker Nights which include skill sharing, mini explorations, and personal project development. Which in turn improve our in-house expertise and business processes. The idea of iterative design thinking gathered from my architectural background, as well as the notion of continuous improvement in lean manufacturing is the most influential philosophies that we applied to our company culture. One example that we talk about frequently at Hot Pop is how Toyota implemented “Kaizen” into their assembly line and business. Kaizen is the Japanese ideology of “improvement.” When applied to business it refers to activities that continually improve all functions while integrating every employee from the leadership to the assembly line workers. We built our business to be agile and responsive to the changing needs of our customers, operations, and employees. We welcome change and improvements, in fact, we prioritize it because we know it’s nearly impossible to get something right the first time. Only through critical analysis and rapid iteration can we achieve our goals. This is what we empower every person in the team to do. I believe the most exciting aspect about design and manufacturing today is the low barrier to entry from a cost, time and scale perspective. 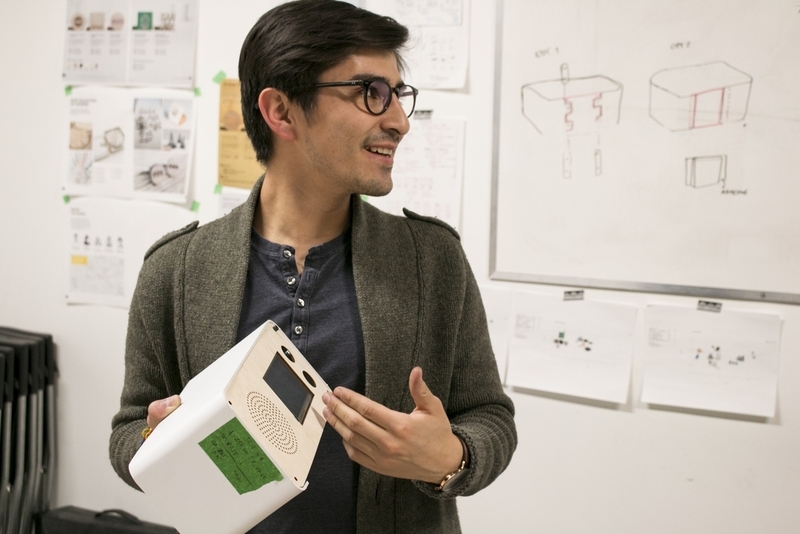 Instead of investing hundreds of thousands of dollars into making dies, moulds, or going overseas to work with a manufacturer, anyone can rapidly prototype their designs as one-offs and improve them quickly and cheaply. Many of these ideas become new businesses, academic discoveries, scientific tools, and so much more. The possibilities are endless. This ability to quickly and affordably see a new idea physically made is incredibly useful and transformative to any creative person’s work and life. Toronto is a flourishing center for innovation, technology, and culture in North America. With the advancements in manufacturing technology, I can see the process of getting something produced locally become more accessible, customizable, faster, and inexpensive. This means that more professionals and industries in Toronto can take advantage of custom manufacturing allowing them to kick-start new ventures and stand out. We believe it would be possible to create on-demand custom goods for everyone in the coming decades. Hot Pop is improving both our software and manufacturing capabilities to push the industry forward. I learned that nothing is as powerful as loving what you do. The passion I have for my team and the projects we work on fuels me to become a better leader. As an entrepreneur, I realized curiosity and good old fashioned hard work is the not so secret ingredient to fulfilling one’s goals. Luck is not required. Focused persistence is the key. Once I understood this, it became possible to take complete ownership and control of my professional trajectory. If our story resonates with you, please get in touch via our Careers page and tell us yours!